Every industry has at least one trailblazer that grabs the attention of the entire market whenever they announce something new. For technology, it’s Apple. The auto industry has Tesla. Music has Adele. Increasingly for DMOs, it’s Google. No company has more power to change the travel booking and planning industry in a day than Google. So when Google announced its latest travel innovation, we had to evaluate. Say hello to Lists in Google Maps. This new feature may not be as groundbreaking as Destinations on Google, but it sure does make planning much easier for both travellers and destination marketing organizations (DMOs). In short, the new Lists feature allows those with the Google Maps app to save and share lists of their favourite places. Users can access the lists online (using Wi-Fi or cellular data) or offline (saved to your smartphone in advance) to navigate between interest points in an unfamiliar destination. This newest Google innovation offers utility to travellers in both the planning and in-market phases of their journey. So what can a DMO do to leverage this newest update? Plenty. First, consider visitor services. A DMO can create Lists within Google Maps and then provide those to visitors with a simple link. Destinations can do this online, or even within the visitor centre itself. 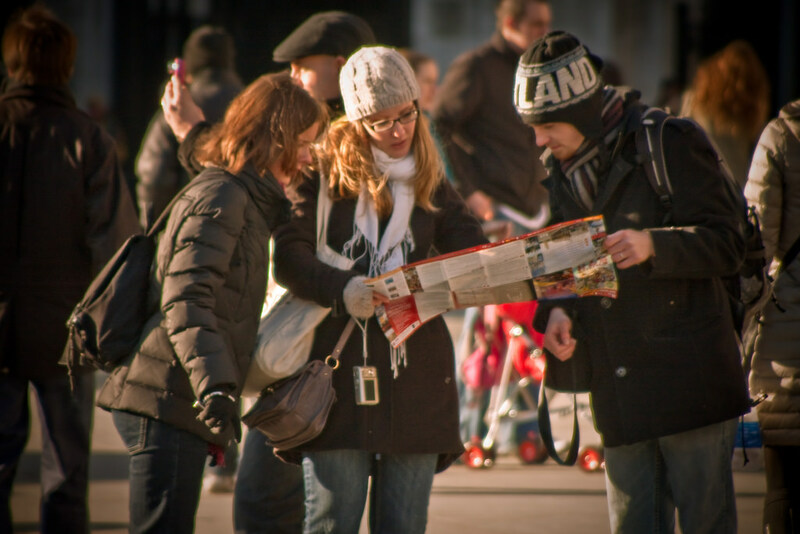 Instead of handing a traveller a physical map, visitor centre staff can create customized itineraries and send them directly to the visitor’s phone. From a marketing standpoint, this tool could impact influencer trips. The new Google Maps feature could be especially useful for DMOs that want to help influencers experience the destination without a personal guide. For example, maybe your DMO is hosting an Instagram influencer who specializes in photos of bridges. Create a list of the most photogenic bridge locations on a map and send the link to their phone. It’s simple and easy! To start, ask your team this question: What experiences would we like our visitors to have when they arrive, and where do we currently hand out itineraries and maps? That’s where you can start experimenting. Related reading: Will Google Trips disrupt the visitor centre as we know it? « Is your DMO delivering a little extra to make a big difference? Nice idea. Yet, roaming needs to be solved first as off country prices are a pain.